Home Products Taurus Induction Cooker LED Display Crystal Black Variable Heat Settings 2000W "Induccion Estufa"
Taurus Induction Cooker LED Display Crystal Black Variable Heat Settings 2000W "Induccion Estufa"
The Induccion Estufa Induction Cooker provides the perfect option for cooking, especially for those who are looking for a greener option of preparing food. This single plate cooker is touch control operated and has adjustable temperature control. 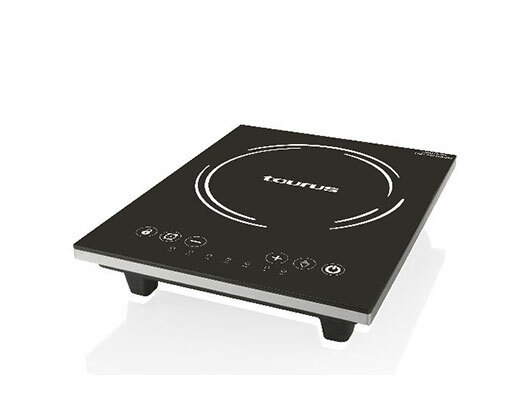 The Induccion Estufa Induction Cooker heats the cooking vessel placed on it directly and therefore does not waste energy by heating the air around the vessel or heating a cooking plate as is the case with traditional methods of cooking.